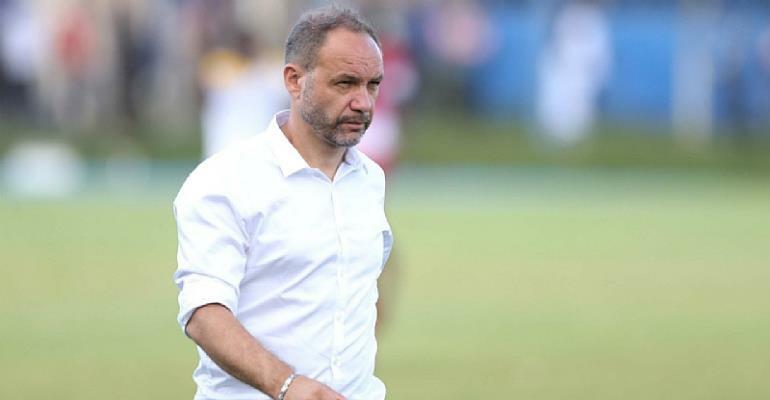 Head Coach for the Kenyan National team, Sébastien Migné has revealed that his target for his side ahead of the 2019 Africa Cup of Nations (AFCON) to be staged in Egypt is to make an impact following a historic return to the competition. The Harambee Stars have been absent from the continental showdown for the past 15 years. The last time they tasted the AFCON was way back in 2004 when the competition was hosted by Tunisia. Pitted in Group F of the qualifiers, Kenya managed to finish 2nd on the log with 7 points to ensure they booked their place for the prestigious tournament. They lost out on clinching top spot after being beaten 1-0 by the Black Stars of Ghana last Saturday, 23rd March 2019. Speaking at the post-match conference after the loss, Coach Sébastien Migné stressed that it will be paramount on his team to make a name for themselves having been absent from the competition for a very long time. “And our goal is we need to qualify out of the first round”, Coach Migné said. Kenya has been seeded in Pot 4 ahead of the official draw which will take place in Egypt on April 12. The tournament will run from June 7 to June 30 2019.